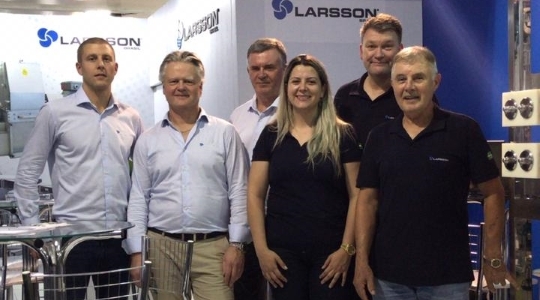 20 – 22 November, LARSSON™ participated as exhibitor at the Feira Internacional Da Mandioca 2018 in Paravanaí – Parana State, the center of cassava in Brazil. FIMAN, the biggest bi-annual mandioca fair in South America, brings thousands of people from the world of cassava together: farmers, processors, equipment & technology suppliers, researchers, food industry, wholesale, retailers, etc. Brazil is a key country in the Global LARSSON™ strategy. “With upward trends in the economy, the Finame licenses we recently obtained and our local manufacturing facilities, we are positive about growing our business in Brazil and surrounding countries over the coming years” CEO Jörgen Larsson said during his speech at the event. 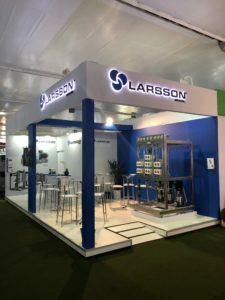 During the fair LARSSON™ got very positive response on the recently launched peeler recovery unit. Processors are impressed by its capacity flexibility, high degree of starch recovery and the energy efficiency of this very compact, multi-stage hydro cyclone station. Soon the first machine will be in operation in Brazil.